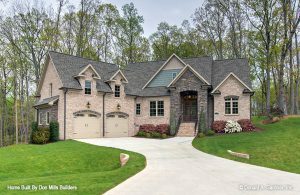 Blog - Don Mills Builder, Inc. Blog - Don Mills Builder, Inc.
To be certain you get the best home builder in Greensboro, look at each of these in more detail. The first thing to do is to identify what your needs will be for your luxury home. Be clear and precise on what you would like, from hardwood floors throughout the home, to the size of the master bathroom and what you would like it to be able to accommodate. Determining your family’s idea of comfort, design, and tastes and being able to relay that to the home builder will allow the builder to suggest ideas and see if their ideas coincide with what you desire, determining their fit with you. 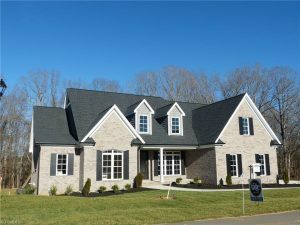 A trustworthy home builder in Greensboro will have a strong reputation, therefore, this should not be hard to find. Word of mouth can make or break any home builder professionally, so research how well their reputation upholds. You can do this by asking previous clients of that particular home builder, reading reviews, and asking any friends or family who may have hired them in the past. If you are at a loss for finding their true reputation, look online or even search for news articles. The homebuilder could have a past publication. Be sure to hire a home builder who has a great reputation. Did you know that any residential project in North Carolina that exceeds $30,000 requires a General Contractor license? Therefore, you will need to ask for the home builders’ credentials or look them up online at the North Carolina Licensing Board for General Contractors License Search. Also, try to get a feel for the experience the home builder has by viewing their past projects and reading through their “About” page on their website. Most experienced home builders will proudly display their projects and openly discuss their years of experience, making this information simple to find. When all else fails or you just want a bit more information on your prospective home builder, ask the experts for suggestions such as real estate agents, lenders, building material suppliers, and code inspectors. Ask them if they could suggest their best three homebuilder recommendations and why. When you are ready to begin building your luxury home, Don Mills Builders can bring your ideas to life. Call (336)362-1777 to get started today. It’s not just the homeowner that gets a suite anymore in a luxury home. Luxury suites containing large bedrooms with sitting rooms or sitting nooks, walk-in closets, and spa-like luxury bathrooms for every member of the household are the hottest trend in new luxury homes. When everyone in the home has their own suite, everyone has the space they need for today’s modern lifestyle. Giving kids their own suites also gives them rooms that they can grow into instead of outgrowing. The frenetic pace of modern life has made having a peaceful home that incorporates natural elements very important. There’s no better way to do that than to design a custom luxury home that features indoor courtyards and spaces with trees and plants. These courtyards are protected from the elements, but let in sun and fresh air. They can be customized with water features, koi ponds, and lush landscaping as well as fire pits and other design features that will make them great spaces to entertain guests or to do some yoga or meditation. Is a luxury home really complete without a customized home gym? A few weight machines tucked into a spare bedroom or the basement just won’t cut it for homeowners who want to maximize their workout time. Custom home gyms with high-end exercise equipment, mirrored walls, dance barres, and other specialized equipment are very much on trend and will give luxury homes the kind of dedicated space that homeowners want to workout in or have a personal trainer come to train them. Having a mudroom is pretty common these days, but in luxury homes, a mudroom isn’t just a hallway or a glorified closet. Luxury homes these days are incorporating actual spacious rooms just off the side door or back door where the nanny can drop strollers and other equipment, the kids can put their shoes, coats, and toys, and where everyone coming in the home can have a place to put their things. Luxury mudrooms have extensive custom storage, closets, countertops for placing bags and parcels, and other features that keep the family organized. Now that working from home is common, people who work at home need more than a spare bedroom to use as an office. 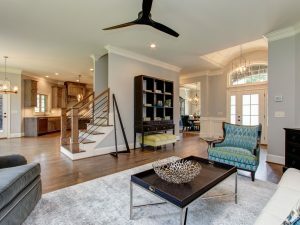 The best Greensboro custom homebuilders are getting more and more requests to build creativity-inspiring custom office suites into luxury homes. These office suites feature a meeting or conference space in an office with large windows and custom cabinetry, countertops, and shelving. Another very popular item that home buyers want in luxury custom homes is a separate guest or in-law apartment. A simple extra bedroom just won’t do. Now homeowners want to give long term guests or in-laws who come to stay privacy and autonomy with a suite that has a kitchen or a kitchenette, a beautiful bathroom, a sitting room, a bedroom, and even a deck or patio of their own. If you’re interested in exploring more luxury options for your custom home talk with a design expert at Don Mills Builders today. Having a custom home designed and built just for you is an experience like no other. You have the opportunity to create your dream home the way you want it to be. But in order to have the home you truly want, you need to find the right lot. 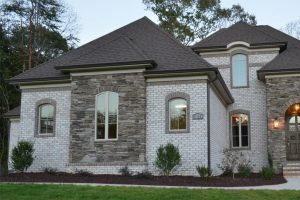 There are many custom home lots in Greensboro available now in the most up and coming neighborhoods. How will you know which one is the right one? Follow these tips for finding an ideal lot for your custom home. The first step in choosing one of the many desirable custom home lots in Greensboro is finding a neighborhood that fits your lifestyle. Drive through neighborhoods at different times of the day. Do you get a good feeling about the neighborhood? Are there sidewalks or any amenities like a pool or park? Think beyond the neighborhood to the community. Are the schools in the area good quality? Are there highways, commercial zones, train tracks, or any other potential for noise and traffic? Some prefer a quiet community and want to avoid these things, but others prefer the convenience of having these things close by. Consider Lot Location and Orientation. Once you have a neighborhood in mind, look at the different lots available. A corner lot may be larger but will experience more traffic. A lot close to the entrance of the neighborhood will be in a higher traffic area but will be more convenient. A lot on a cul-de-sac will be more private but may be wedge-shaped with a smaller front yard. These things may affect the design of your custom home. Is the lot flat or sloping? The lay of the land affects the structure of the home that can be built on it. Land can be regraded to an extent but starting with land that suits the home design you have in mind is certainly easier and more cost effective. Observe How the Sun Will Shine on the Property. Would you prefer that certain rooms get morning light, such as the kitchen or breakfast nook? Do you want a sunny or shady back deck or patio for afternoon/evening barbecues? Do you want bedrooms to be shaded in the morning for maximum potential for sleeping in? Consider which way your home will face in relation to the sun. When it comes to building custom homes, Don Mills Builders has years of experience in home design and lot selection. Whichever you decide on first, the lot or the design of your home, Don Mills can make both work together in harmony. Get the true custom home experience when you create your dream home with Don Mills Builders. No other home will be quite like yours. Call Don today to inquire about custom home lots in Greensboro: (336) 362-1777. Are you a lover of furry four-legged friends? 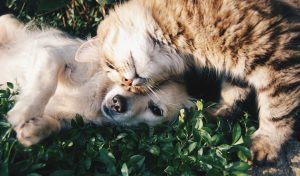 If you have pets in your household, chances are they are truly part of the family. So why not consider their needs when designing your new custom home? More and more custom homes in Greensboro are being built with special pet-friendly features that make both pets and their owners happy. Here are some ideas. Choose your flooring carefully if you have pets. It may be the single most important decision you’ll make in your custom home design. Here are the flooring materials that hold up best under pet traffic. Bamboo. One of the hardest woods, bamboo is highly resistant to scratching and pet accidents. Laminate. A common flooring option, laminate is mostly scratch resistant and can handle moisture and pet accidents without much trouble. Vinyl. It might surprise you, but vinyl floors are quite durable and stain resistant. They are also quiet so you won’t hear the constant clicking of pets’ toenails. Stone. No reason to worry about moisture or scratching with stone floors. Granite is a common choice due to its strength and durability. Ceramic Tile. Porcelain or ceramic tiles are another strong flooring option for high pet traffic areas of your home. Be sure grout is sealed to prevent staining. Cork. Also sound absorbent like vinyl, cork is an environmentally-friendly option that is anti-microbial. It is mostly scratch and moisture resistant, so long as spills and accidents are cleaned up promptly. Area rugs are a good addition to any of these hard flooring options for pet comfort and ease of movement. The area where food and water bowls sit can be a mess. There are some creative ways to design a special area just for feeding that will hold up to the wear and tear. Add a designated food bowl area on the end of a kitchen island. A granite surface with built-in bowl spots holds up to moisture. A pull-out feeding drawer with built-in holes for removable bowls is a major space saver. It also allows you to hide the feeding area when not in use. Include a food storage space right next to the feeding area. Simply scoop food into bowls and feed pets in just seconds. When you have a cat, the litter box is a necessary evil. But you can keep it completely out of sight with a built-in litter box cabinet. With a small door for the cat to enter and a larger door for cleaning access, your cat’s litterbox can be hidden from guests. Even the smell can be minimized or eliminated through this method. If your pets are a priority in your family, keep them in mind when designing your new custom home. Don Mills listens to what families need and creates homes to meet those needs. 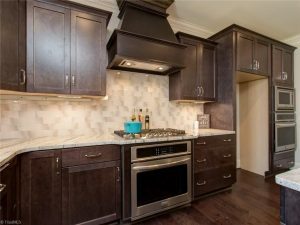 Some of the finest custom homes in Greensboro in highly desired communities are original products of Don Mills Builders. Make sure your new home has everything your heart desires. Call (336)362-1777. One of the key elements that goes into a fabulous patio is the lighting. Whether you like to entertain friends and family or you prefer a private space to enjoy the fresh air, your lighting scheme will help to create the right atmosphere. When designing original custom homes in Greensboro, homeowners are putting as much focus on outdoor spaces as the home’s interior. If you plan to include a patio in your home design, consider these lighting ideas. String Lights. 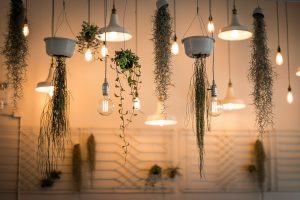 Whether large or small bulbs, strings of lights are an easy patio lighting concept that provides just the right balance between classy ambiance and sufficient lighting. String lights between poles, hang from a pergola, or drape along a fence to create a fun and inviting atmosphere. Garden Lights. These come in many different styles and shapes but are typically planted in the ground along walkways, in flower beds, and among bushes. Solar powered garden lights are popular because they can be placed anywhere without access to electricity, making them both convenient and green. Projected Lights. 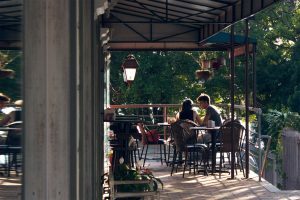 When you wish to highlight or draw attention to certain areas of your outdoor patio, projected lights shine in the direction you choose, creating a dynamic of light and shadow. Stair Lights. If your patio has steps it is a good idea to light them for safety as well as style. Small lights can be installed under or to the side of each step to light the way. LED Lights. Want to be on the cutting edge of style? LED lights are a popular trend for outdoor spaces. Install them under your outdoor furniture or under eaves and ledges for a contemporary look. Try neon colors to brighten up the space. Firelight. Nothing can compete with the natural beauty of firelight. Install a fireplace, fire pit, fire table, or any other type of wood burning or gas powered flame source. Your guests will naturally be drawn to its warmth and comfort. Candles. You can still enjoy the beauty of flickering candles outside when you use battery-powered types. A candle chandelier is convenient for outside where wiring can be a challenge. Place candles of different heights on tables and ledges around your patio. Lanterns. Old-fashioned lanterns, Japanese lanterns, railroad lanterns—any type of lantern creates a classic outdoor lighting concept that is comforting. A lantern always lights the way home. If a fabulous patio is on your list of must-haves for your new home, design and build your new home with Don Mills Builders. 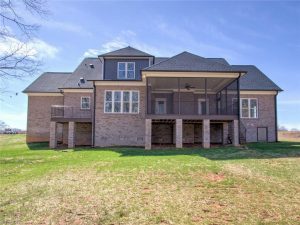 When it comes to custom homes in Greensboro, Don Mills builds luxurious new homes in up and coming neighborhoods in the popular northern Guilford County area. You can have an amazing patio space for any intended use, from parties to an outdoor yoga studio. A beautiful lighting scheme puts the finishing touch on your patio design, creating the ambiance and style you wish to achieve. Call Don Mills Builders to help you design your new home, complete with a custom outdoor patio space: (336)362-1777. When choosing options for your custom home, lighting is one of the most important decisions. Lighting makes a big impact on the style and atmosphere of your home. If you want lighting that will stand out and impress your guests while illuminating your home in a way that is also functional, consider these light fixtures. Share your favorites with your custom home builder in Greensboro and incorporate them into your home design. Pendant Lighting. One of the most luxurious of lighting options, pendant lights are stylish and modern. They typically consist of a globe-shaped light on the end of a long, thin rod or chain. Larger pendant lights can hang alone or in a series of 2 or 3, while smaller pendants lights can be clustered together at different lengths to create a chandelier. You’ll find these lights in kitchens, dining rooms, and foyers. Wall Sconces. Lighting that is wall-mounted rather than ceiling-mounted offers a unique style to any room. Wall sconces placed strategically around a room can offer mood lighting that illuminates larger spaces like living rooms or dining rooms. Thinking of including a media or theater room in your new custom home? Wall sconces with dimming switches can create an authentic cinema ambiance. Track Lighting. As a concept, track lighting is nothing new. But new styles and designs redefine this lighting concept again and again. Track lighting refers to a series of lights arranged in a row. They can be recessed lights, pendant lights, or other styles. Retro Light Fixtures. Retro can refer to new light fixtures that are designed to look like styles from the past as well as old light fixtures that have been refurbished. Whichever way you decide to go, it seems almost every design element comes back into style at some point, but with a new twist on the old concept. The same is true for fashion and interior design, including lighting concepts. Chandeliers in Bathrooms. You expect to see elaborate chandeliers in foyers and dining rooms, but they are becoming more common in bathrooms in recent years. Luxurious bathrooms are designed as peaceful havens to escape the stress of the day, and a chandelier above a large soaking tub creates a beautiful, relaxing atmosphere. Theme Lighting. If the home or one particular room has a theme, consider lighting that complements that. For example, in a beach house choose light fixtures made of shells or sea glass. If you have a log cabin-style home, consider rustic lighting like railroad lanterns or natural wood fixtures. Lighting should match the overall style of the home. When it comes time to choose a custom home builder in Greensboro, it’s important to find one with a knack for designing lighting concepts. Illuminating your home is one of the most crucial elements of home design. You want to be sure your home’s lighting creates the atmosphere and style you want while sufficiently brightening all rooms for their necessary function. Don Mills combines your ideas and many years of experience to create a lighting concept that allows your home to shine. Call (336) 362-1777 to set up a free consultation. Thinking of building a custom home? There’s nothing quite like having a home built from the ground up just for you and having the opportunity to incorporate your own personal style. But what if you’re not sure what your own personal style is exactly? Somewhere between looking for custom home lots in Greensboro and choosing a builder, you’ll need to get an idea of the style you’re looking for before the design process begins. Where have you seen styles you like lately? Which is more important to you, looks or function? Do you tend to choose modern or classic pieces? These questions will go a long way toward helping you discover your personal home design style. It may help to have some examples of styles that are often found in home décor. It’s ok to mix and match pieces from different styles, as long everything works well together. Traditional. Just as it sounds, traditional style includes familiar patterns, colors, and textures that have been used for centuries. Many people find the familiarity comforting, and new variations of old favorites offer a fresh look. Modern/Contemporary. Function over fancy is the mantra of both contemporary mid-century modern décor. Sleek, simple designs in neutral colors simply say less is more. Think of the 1960s for modern. Contemporary is basically mid-century modern turned now. Rustic. Think log cabin or farmhouse style here. Wooden beams reclaimed farm tools made into art, and earth tones create a homey atmosphere. Transitional. A melding of traditional and modern, where the comforts of traditional design are incorporated in much more functional ways with modern accents. You’ll see plush items paired with sleek, geometric accents. Coastal. A popular choice in the southeastern states as it is reminiscent of the Atlantic Coast. Light and bright colors, nautical designs, wood painted white, and hints of the sea are common elements of coastal style. Bohemian. A mix of new and vintage items, often globally inspired by souvenirs from travels, Bohemian style is very relaxed and care-free. Non-traditional seating such as floor pillows and soft rugs is common. French Country. A highly luxurious look, French Country is popular in high-end custom homes, especially in the southeast. Warm tones, ornamental wood, with a bit of farmhouse inspiration, this classic look never goes out of style. These are just a few examples of interior design styles that may offer you inspiration for designing your own custom home. When you design a home with Don Mills Builders, your own personal style can truly shine. Once you get a sense of your preferred theme for décor, Don Mills can help you get started building your dream home. 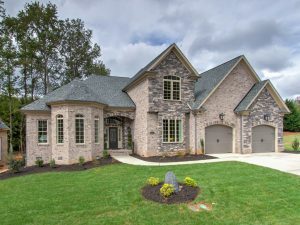 Choose from ready-to-build custom home lots in Greensboro in some of the best up-and-coming neighborhoods and watch your ideas turn into a beautifully styled home. Call (336) 362-1777 to get started.